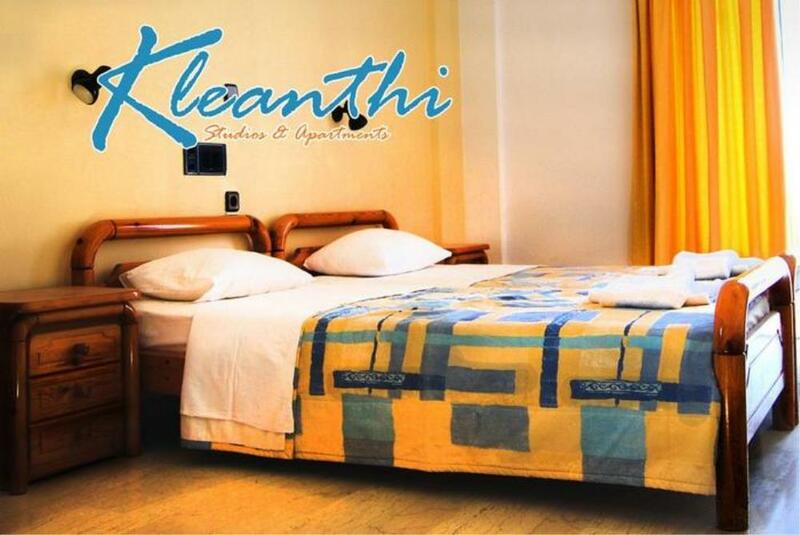 Kleanthi Apartments are located in the green and quiet part of Gouves area, just 18km from the center of Heraklion and 15km from the airport. The nearest beach is less than 850m away and in a close distance there are taverns, tourist shops, ATM, mini markets and cafes. This family friendly proprty offers 24h reception, swimming pool with sunbeds and umbrellas, snack bar, WiFi, bbq facilities, a small library, parking space, luggage storage, lounge with TV corner and fax services. All rooms are simply furnished and have a private bathroom with shower, AC (extra charge), a fridge, a kitchenette, safe deposit box (extra charge) and a balcony.